The "Take It" was almost immediate. I was up early to catch the transportation back to the airport to return home. The friendly hotel staff and I were the only ones moving about. I was asked if I would like a cup of coffee. I responded that I would enjoy that. In no time at all a waitress that was helping to set up the dining room for breakfast came out of the restaurant with the array of things that go along with coffee, sugar, cream, etc. 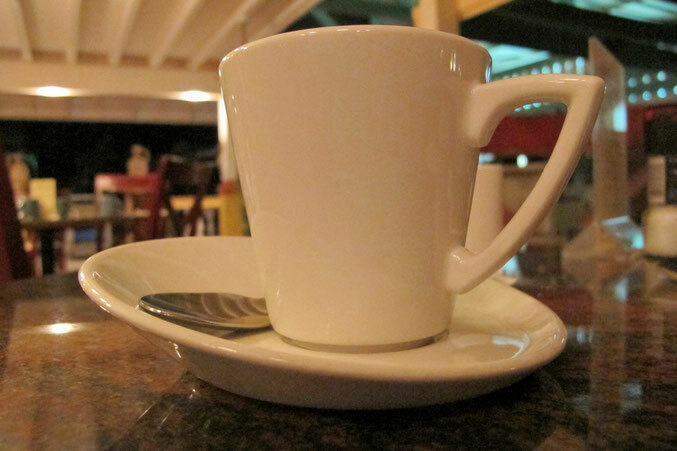 What grabbed me was the ease with which she lifted the cup of coffee which was on a saucer off of the serving tray. Her strong fingers effortlessly slipped under the side of the saucer and her thumb made a fast and firm grip on it on the over side. She picked it up and made the transfer to the table with quick confidence and, in a flash, her fingers and thumb had made their release going on to move those other things off the tray to make the serving complete. It was the shape of the saucer that had made this what I had seen many times before turn into a near magic show. To take something that is usually a very careful maneuver and have it be done with such speed was the function and result of ever so common sense design. I took the spoon out of the cup and as you can see, the minute amount of residual coffee on it, formed a small pool in the bottom of this utensil. I took a sip of the coffee while further reflecting on this mini magic show. It was only then did I think to take a few close up photos for I knew that in order for me to describe this to anyone I was going to need a photo to save myself at least "a thousand words." The After Take: Further viewing shows the indentation in the saucer to match up and stabilize the cup. 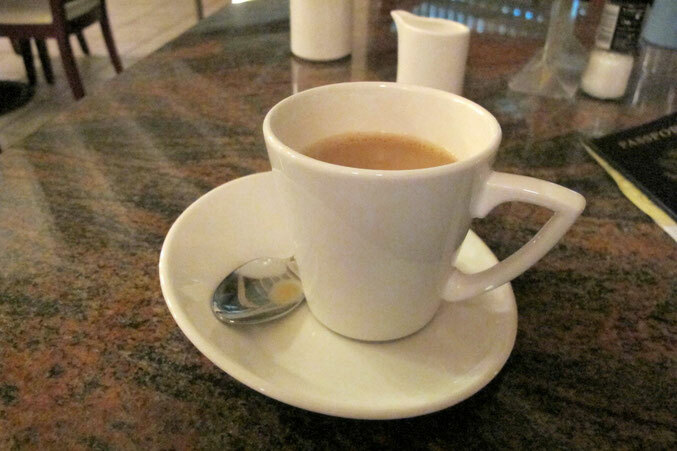 Not to be lost, is the design of the shape of the handle on the cup. The long flat surface on the top one of the handle gave me a better grip on the cup, which I found oddly comforting. The airport bus was seen making its way to the entrance of the hotel. I quickly asked how much the coffee cost and was told it was with their pleasure and complements. I thanked them and left a $ 5 bill under the edge of the saucer. Now, maybe that cup and saucer is one of the few they keep in a special place to use when they see someone who looks like they are in need. To me, I had been a one person audience to another "Greatest Show on Earth." Here is hoping many Arubans read this and accept my thanks for all the wonderful hospitality that was shown to me. To everyone else, watch for such a saucer landing wherever you may be. It may be the foundation for one the best cups of coffee you will ever have in your life. The top photo is pro status! You worked the angles on that one very well. Props! Cool! I thought this was a giant cup in a museum! Perspective is everything. Been awhile since I've been to the site and boy did I miss out on a lot. You got some great shots in these pages.